Aloha friends! I am happy to be posting again with some Bright Ideas to use in the classroom. 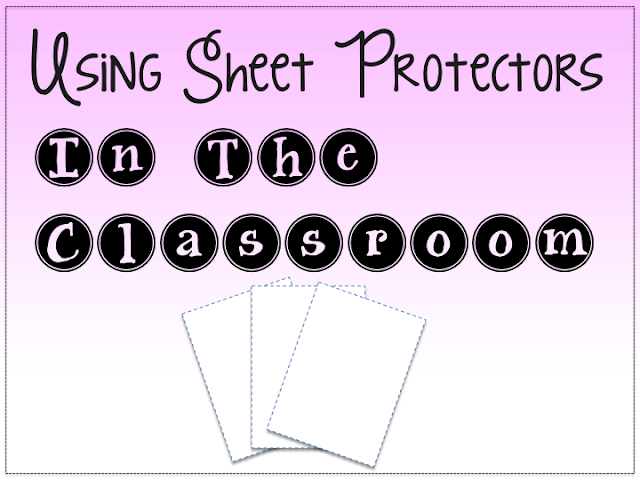 Today I am sharing how much I love using sheet protectors in my class. I know it seems silly, but this is one item that I have on hand all the time in my classroom. I use them for so many different things. Of course I use them to organize my binders and keep my sheets protected, but they come in handy when I don't have time to laminate, or make copies of items. I do my Daily 5 rotations weekly and sometimes I forget just don't have time to run down and make copies of something for each student. I just slip the sheet inside, add a dry erase marker and I am ready to roll. I just saved myself a trip to the copy room and by using and reusing them I use less paper. 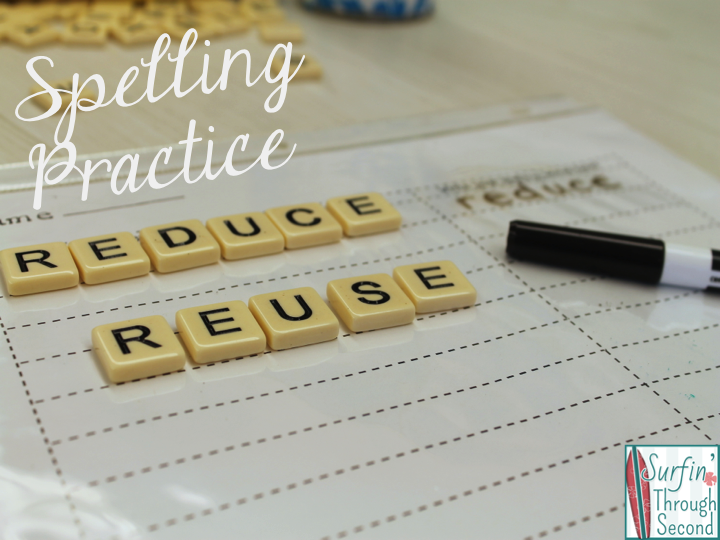 Here are a few of my favorite ways to use them in my class. I have found that my students waste so much paper at the writing center! They write a few words and then they are done. By using sheet protectors I can quickly switch out activities. 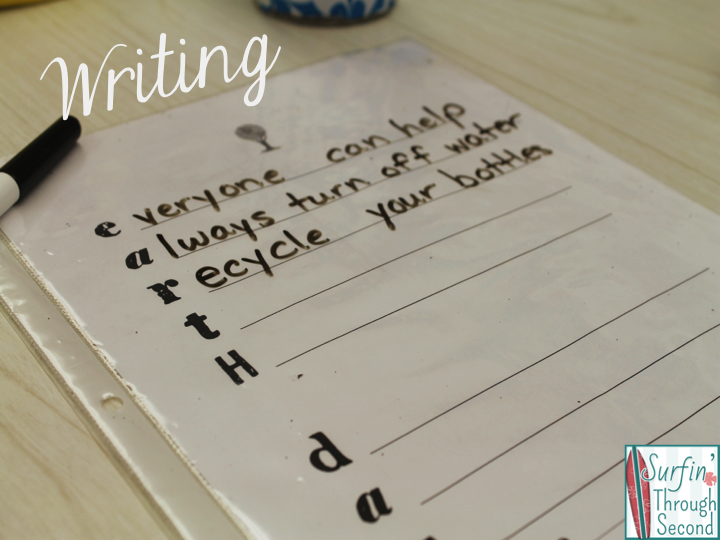 If students finish a story or poem they like, they can make a hard copy in their writing journals or folders. 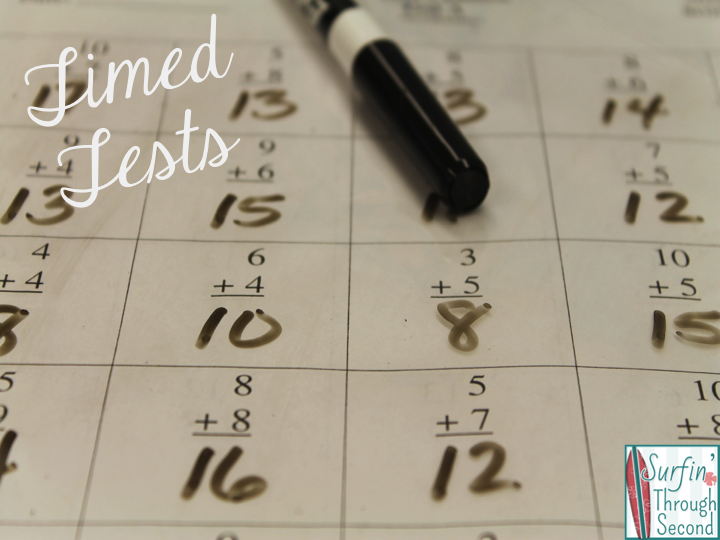 Do you have early finishers? 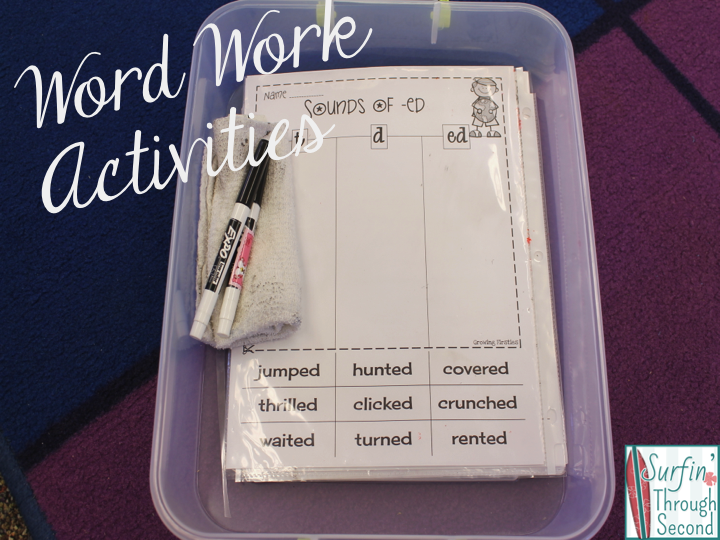 Instead of making tons of copies for extra work, provide some fun sheets such as word searches and place them in sheet protectors in a binder. Students can choose one to complete. When they are finished it can be erased and placed right back into the binder. 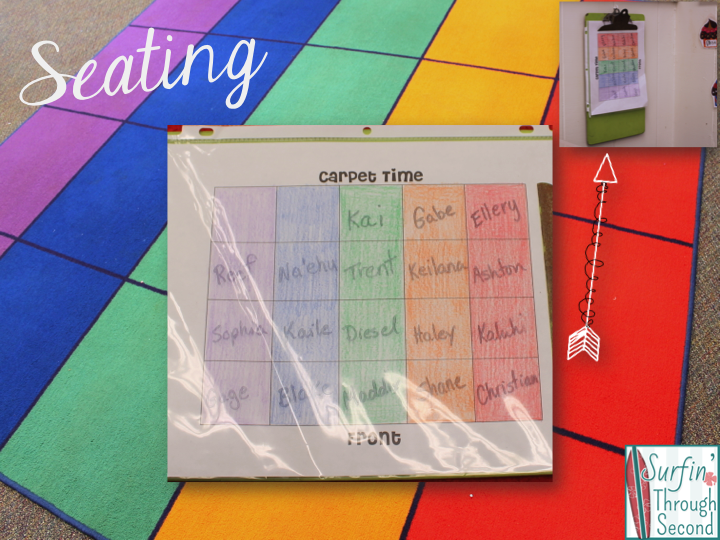 Do you have a class seating chart that you are constantly erasing and changing? I was inspired by this post over at Fluttering Through First. Just slide a blank copy into your sheet protector. I change the seats on the rug once a month and now it is color coded and easy to change. The chart is hung right near the rug for easy access. I hope you have come away with at least one new way to use sheet protectors. I am teaching my students all about natural resources and how we need to protect them. 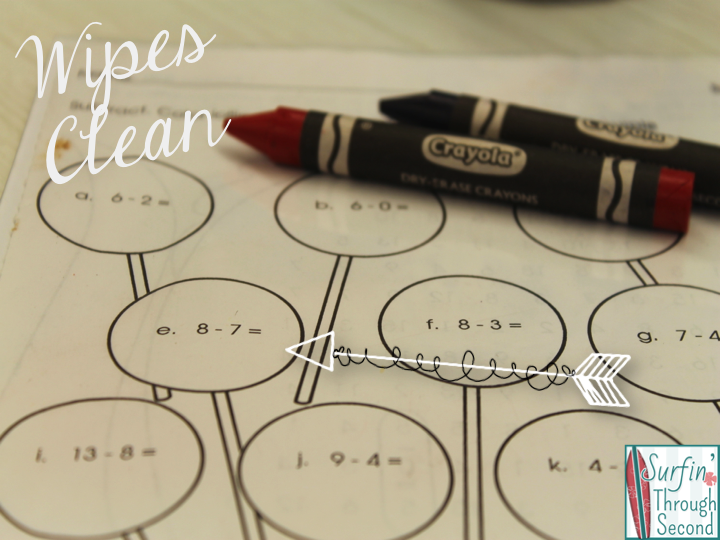 As teachers we can lead by example and stretch that paper supply! For more Bright Ideas check out the link up below! So clever! I too, have a problem at the writing center, where they write only the bare minimum and so much paper is wasted! 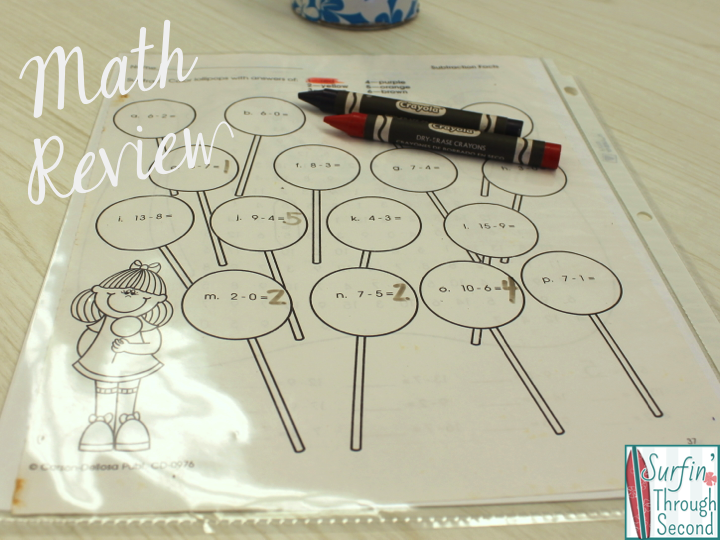 I love this idea (annnddd, I just found 2 packets of these and was wondering what to do with them!). Bright Idea! Thank you! Such a great idea! I agree, we waste too much paper! After learning about recycling, my students point that out all the time too! Page protectors are the greatest invention...now I must get dry erase crayons! Thanks for the fab idea. Love this! 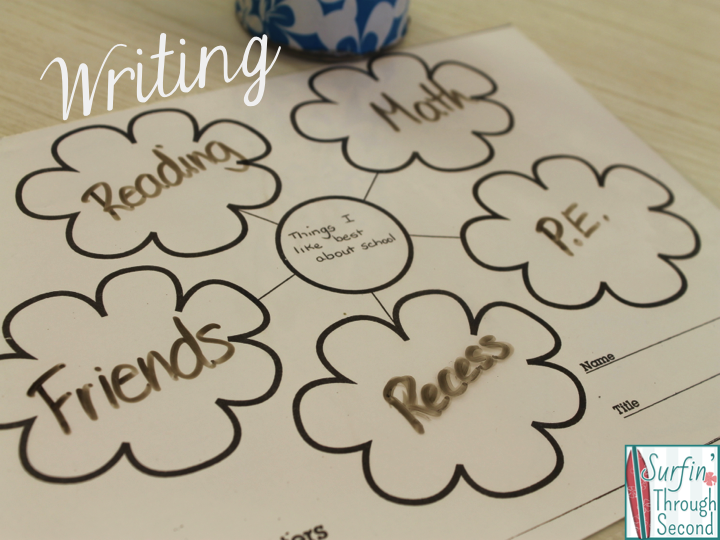 I love the idea of using them for brainstorming or for other things where the kids don't necessarily need a hard copy. You are so smart and cute girl! I love that you use it for everything. I need to use them more for sure. 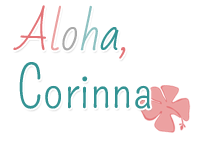 Corinna, great post! I am also a page protector girl and have a costco sized box on hand at all times. I love these ideas! Especially for centers, and early finishers. Thanks so much. Corinna, this is such a great idea! I've used page protectors occasionally but these ideas for centers are fantastic! 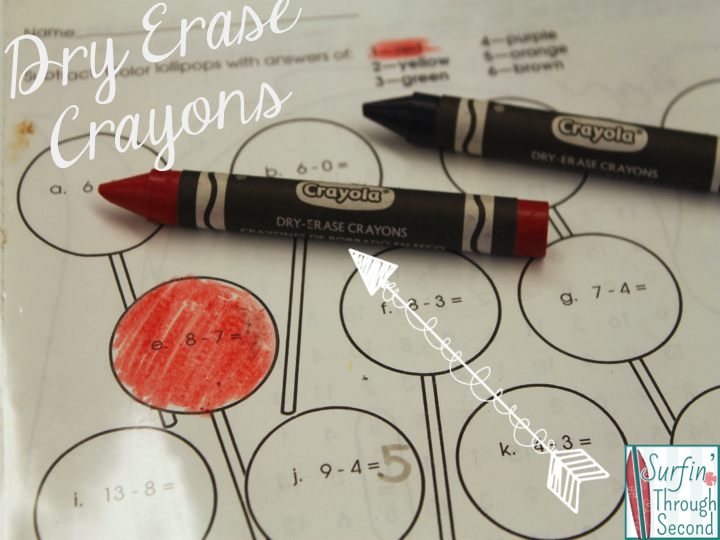 The dry erase crayons would be a huge hit with my class! Genius! I am definitely a hoarder of sheet protectors, but never thought to use them to save paper. Thanks for sharing! I also like using them as white boards! Students LOVE to hold up their answers if we are playing a group game!